Holds your favorite boat shampoo to generate a gentle cleansing lather. 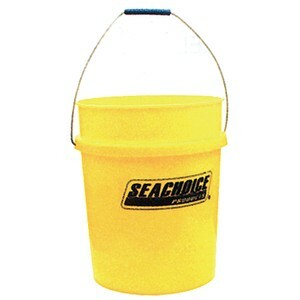 Essential for use during the cleaning stage of our exclusive 3 Step Boat Care process, this five gallon bucket holds plenty of water to create a smooth lubricating lather to use when cleaning your boat. Combine with your choice of boat shampoo, and our microfiber wash mitt for the perfect boat cleaning experience. Whether you're just cleaning the boat on the weekend, or getting ready for a complete 3 Step Detailing, our wash bucket forms the foundation.